Evolution Research Group Account Directors work closely with its established sponsor and CRO clients, as well as many of the emerging, specialty pharma and biotech teams, during the clinical development planning stages. We have been involved in the placement of hundreds of phase I – IV clinical trials. We can also assist/advise on protocol design, study design, feasibility, recruitment, vendor vetting, budget development and scientific advisory board planning and implementation. Prior to joining ERG, Heidi worked closely for 15 years with the late Dr. Dan Zimbroff at Pacific Clinical Research Medical Group. As the clinic’s Director of Business Management and Development, she oversaw business development, study recruitment, contracts/budgets, human resources and management of PCRMG’s three clinics. Heidi holds a Bachelor’s Degree in Broadcast Journalism from the Walter Cronkite School of Journalism and Mass Communication at Arizona State University and minors in Business and Political Science. Heidi is based in Southern California. Prior to joining ERG, Susan began her career in the banking industry and held various volunteer positions on executive boards in both academic and political arenas. 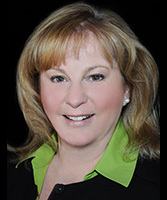 Susan holds a Bachelor’s degree in Business Administration, Marketing and Management from Montclair State University. 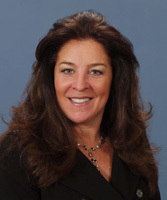 Susan is based at ERG headquarters in New Jersey. 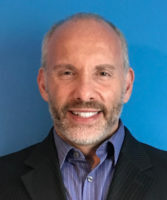 Prior to joining ERG, Jason worked at New York-Presbyterian-Cornell Campus in the Department of Pharmacy in New York City while earning his Masters of Science degree in Pharmacology / Toxicology from the Arnold and Marie Schwartz College of Pharmacy at Long Island University in Brooklyn, NY. He also served as Senior Research Assistant for an organic synthesis lab while earning his Bachelor of Science degree in Chemistry at Lehman College-City University of New York. Jason splits his time between his home office in New York City and the company headquarters in New Jersey. 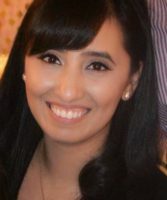 Sarah Kazmi received an MBBS degree upon completion of medical school from England. She then took three USMLE exams required by the ECFMG for her Medical Doctorate degree in the U.S. She joined ERG with 10 years of research experience in Phase I-IV clinical trials. Some of her previous work has been in indications such as Respiratory, Stroke, Diabetes and CNS. Before joining ERG Sarah held a number of Clinical Research positions of increasing responsibilities, most recently as the Director of the East Coast Unit for PRA Health Sciences. She had full P&L responsibilites along with ownership of all aspects of Clinical Operations. Sarah’s experience in managing single as well as multi- site trials, determining feasibility, reviewing protocols, and managing study start up activities will provide additional liaison support between our clinical operations team and Account Directors. Sarah is based out of ERG headquarters in New Jersey. Jerry Cruz works in Sales Support and is responsible for internal reporting and for management of the company’s sales database. Jerry coordinates many of the activities and related communications between the sales team and the Site offices. 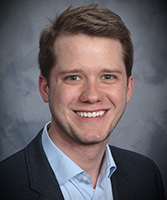 Prior to joining ERG, Jerry worked at various Site and CRO companies in operations, marketing and business development. Jerry held a similar position at CRI Lifetree, prior to the company’s acquisition by PRA Health Sciences. 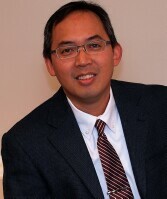 At ICON Medical Imaging, Jerry developed a new service line for the CRO and Imaging Core Lab in the field of Oncology. Jerry earned his Bachelor of Arts at Georgetown University, majoring in Economics. Jerry splits his time between his home office in Pennsylvania and the ERG headquarters in New Jersey.